Brenda Cicirello continues to ensure good lunches for the students she serves. Cicirello has been working in school food services for 11 years. You might not know their names, but you definitely remember their faces — just as they remember yours. In any school system, those same friendly faces known as lunch ladies — serving up lunches in school cafeterias throughout your childhood — become somewhat of a fixture. But the lunch lady has changed in recent years — as has the whole of school cafeterias and the food it provides. 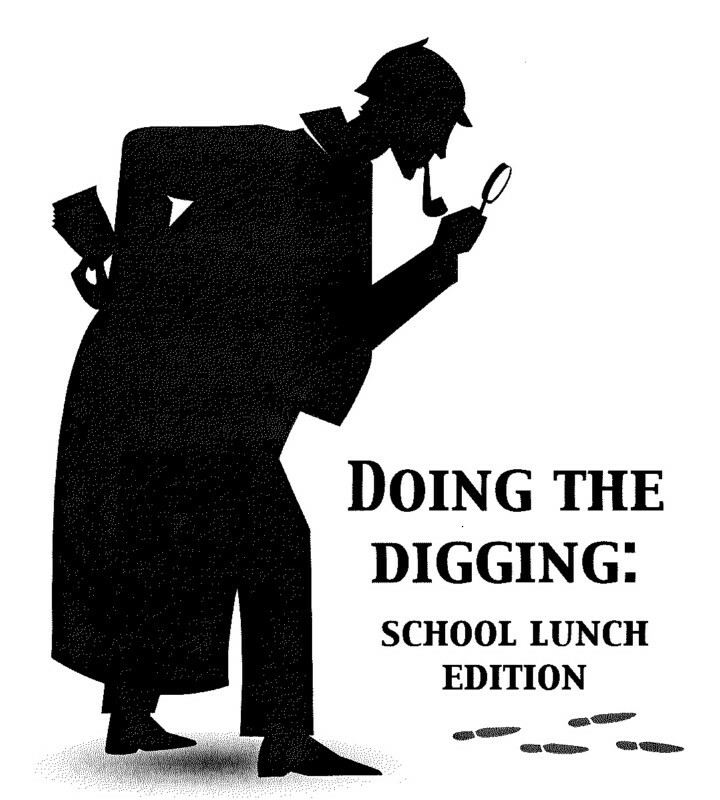 In an effort to take a closer look at the story of today’s school lunch in Washington County, the Herald & Tribune turned to school officials and local food service professionals. How do the schools get their food? What is the perspective of today’s “lunch lady”? What are the school system’s challenges in this changed area of the educational system? And what better place to start a story than those who have dedicated their lives’ work to the county’s foods, kitchens and kids — the local lunch lady. For 11 years, Brenda Cicirello has served Washington County students as they filed into lines for lunch. Boones Creek “lunch ladies” get ready for another day. Pictured are Brenda Cicirello, Tim Trick, Marilyn Odom, Martha Wallace, Felicia Greer, Penny Fowler, and Karen Jennings. 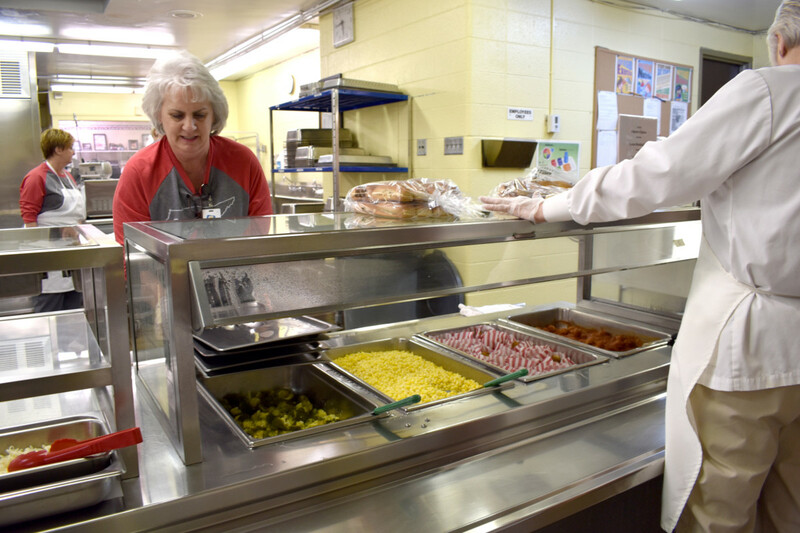 From her days behind the deep fryer at David Crockett High School to her current role as the prep kitchen manager at Boones Creek Elementary School, Cicirello has seen the school cafeteria’s metamorphosis throughout recent years. The one thing that hasn’t changed for her, however, is the joy she’s filled with as her cafeteria grows with chatter, laughter and hungry students. 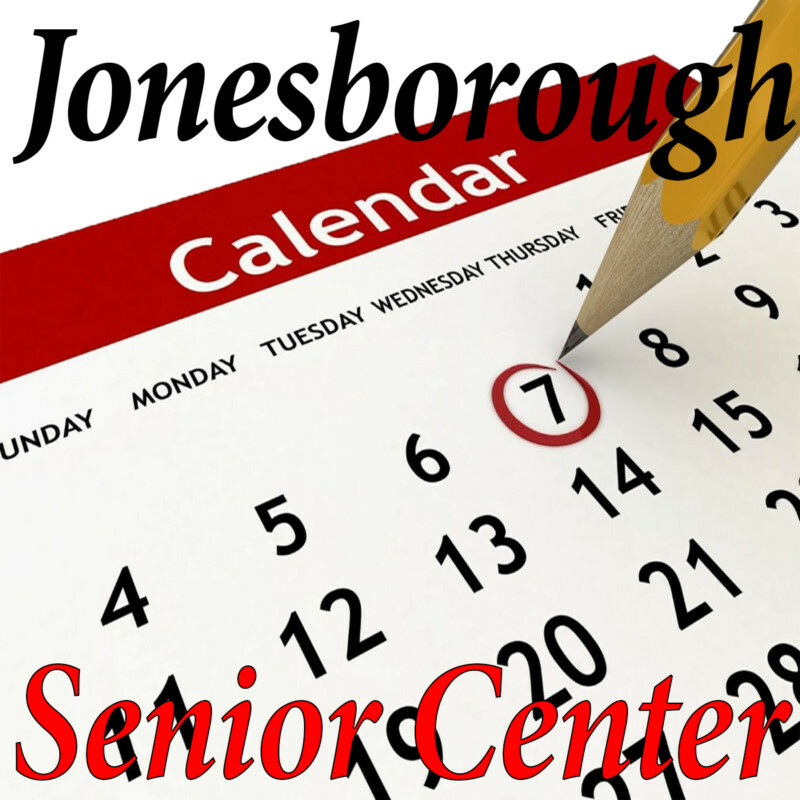 But the the 3,459 lunches served in the Washington County system have changed. And those changes all started at the top when the American school lunch system saw a shift in food restrictions. Under the Obama Administration, the Hunger-Free Kids Act of 2010 was passed. The school lunch regulations gave the United Stated Department of Agriculture the authority to set new standards for food sold in schools (including that found in vending machines). The new regulations included emphasis on whole-grains (products had to be at least 50 percent whole-grain); a minimum of fruits and vegetable servings; restrictions on sodium, sugar, and fat content in food; and limitations requiring nonfat flavored milk or 1 percent white milk. In Cicirello’s time in Washington County’s school cafeterias, she said those restrictions warranted the biggest change she has yet to see in the school system’s food operations — a decrease in the amount of kids still eating school lunches. As America tried to lessen obesity rates through new school lunch regulations, Washington County has since had to change its ways as well. Anyone who grew up in the Washington County School system long before 2010’s changes might recall the days of meals made from scratch by a lunch lady with a knack for producing home-cooked dishes and what Washington County Director of Schools Bill Flanary said many considered a fond memory — the days when two lunch ladies were tasked with only making desserts each day for county students. But now, restrictions make preparing food a bit more tedious. “I think they’re trying to get back to where we prepare a lot of things from recipes,” Flanary said. “It’s not just a dash of this and a cup of that. When they do prepare something from a recipe, they have to weigh everything (due to the restrictions). Though Flanary said the school’s food service staff is working to get back to recipes, figuring what food makes its way to students in local cafeterias is more of a science than ever before. One young student takes a closer look at the offerings. Providing nutritious meals that children will eat is the constant challenge for school lunch personnel. School food services have to offer certain amounts of meats/meat alternatives, grains, fruits, vegetables and fluid milk and those amounts vary according to a student’s grade level. While grades K-5 and 6-8 must be offered 2 1/2 cups of fruit a week, grades 9-12 must have a minimum of 5 cups offered a week. Not only are they required to provide certain amounts of each of those five groups, but schools have to offer specific vegetables in different subcategories. These include weekly offerings of dark green vegetables (such as broccoli, collard greens and kale), red/orange vegetables (like sweet potatoes, acorn squash, and carrots), starchy vegetables (such as potatoes, or green peas), legumes (such as black beans or black-eyes peas), and other vegetables (such as artichokes, asparagus or celery). Washington County’s Food Service Director Caitlin Shew said choosing what goes on school lunch trays in the county requires a weighing of numerous factors including funds and what students want on their trays. “You can’t just throw out any vegetables that you want,” Shew said. “You have to meet these minimums. With the federal reimbursement rates and the participation and all those kinds of factors that play into the funds that we actually get, you might choose carrots over a red pepper because of the financials. Carrots are typically a cheaper vegetable to purchase. With so much attention on meeting dietary minimums, affordability and keeping kids wanting what is offered to them in the cafeteria, lunch ladies are required to pay more attention than ever before. “People just don’t know. They just think you’re putting out some food. They don’t realize how much work went into that one meal,” said Shew, who served as a lunch lady earlier in her career. “I think lunch ladies get this stigma that they’re just putting food on trays and they don’t care. Look for part two of the school lunch series in next week’s Herald & Tribune.